When Dodge drivers in the Kent and Des Moines area think of high-quality auto repair, they choose Premier Automotive Services. Our ASE-Certified auto mechanics have a straightforward approach to auto repair that we believe you’ll find refreshing. And if you’re not already a client, we’d appreciate your making Premier Automotive Services your go-to shop for all your Dodge maintenance and services. 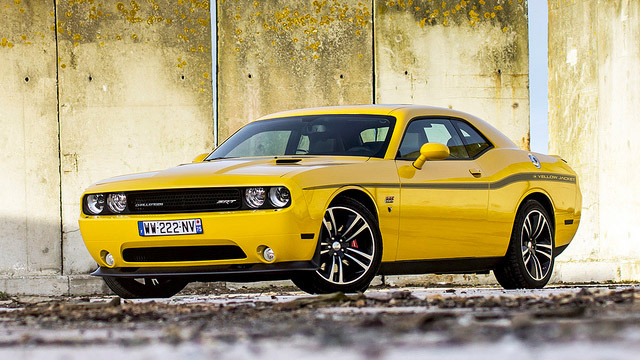 When you choose a Dodge vehicle, you choose a car that’s both powerful and trustworthy. Over the years, Dodge has increased its options so that you can customize the performance you get, while at the same time having the smooth ride and good value you expect from Dodge. Many people appreciate having the engine of a muscle car plus the good manners of a car that can comfortably take you to the grocery store in Kent and Des Moines. The auto repair technicians at Premier Automotive Services understand why you went with Dodge for all these reasons. At Premier Automotive Services, we’d like to be a powerful and trustworthy ally to you. That’s why we do what we say we’re going to do when we say we’re going to do it. For instance, when you come into the shop we’ll explain exactly what’s going to happen. We’ll run our digital diagnostic test, send it to you, and discuss the options. Then you choose your priorities. We fix whatever needs fixing, and you come to pick up your car. How does that sound? “I have found the mechanical service to be effective; and the service controllers in the office to be particularly helpful. My opinion is that they have given me a 'price break' a couple of times (even tho never solicited to do so). I QUIT taking my 2015 car to a dealership because I found Premier's service so much better (likely less costly too, altho I did not check into that in depth).” -- John A. Our technicians at Premier Automotive Services would love to service your Dodge. Our guiding principle is to take care of our customers first. Why not schedule an appointment today? We are conveniently located at 25009 Pacific Hwy S, Kent, WA 98032. Our hours are 8:00 AM - 5:30 PM, Monday - Friday.